Ovos Moles is the name of a store in Lisbon that sells traditional sweets made from recipes created in Portuguese convents. These wonderful desserts are procured from small producers who often kept the original recipes in their family for several generations. They are indescribable delights made of eggs, sugar, flour, fruits, and nuts. It is a privilege to be able try and compare so many of these exceptional desserts. After all, in times gone by, we would have had to commit to a monastic life to enjoy the heavenly concoctions that Ovos Moles offers. 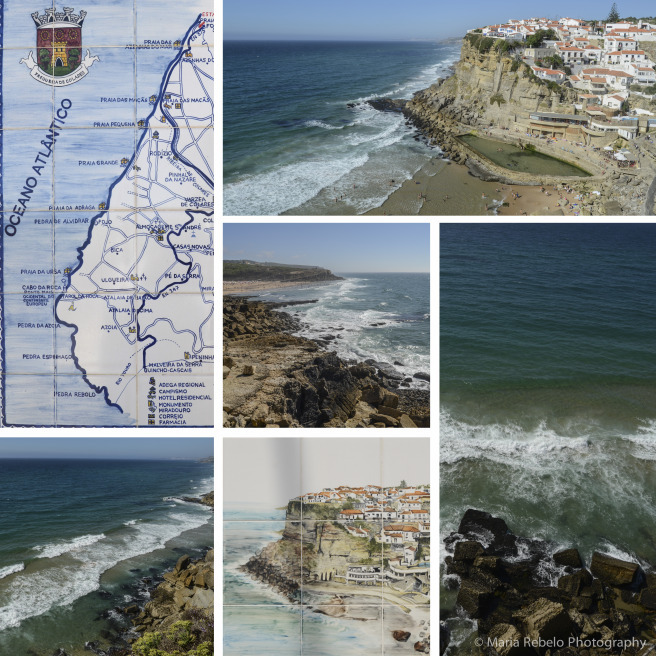 Ovos Moles is located at Calçada da Estrela, 140-142, tel. 919303788. Click here for their website. We know little more than this with any certainty, and yet this is the only thing we really need to know right now. It is more than enough to enable us to do what we are most qualified and called to do from where we are in this moment—It is enough for us to bleed too. What we do know is more than sufficient enough for us to run to suffer alongside those who are suffering. Here is one of the tenets of good cooking no matter what cuisine you are planning to cook. We spent a wonderful afternoon with Maria Azevedo Coutinho Vasconcelos e Souza, an aristocratic octogenarian who was a close friend of the great poet Sophia de Mello Breyner Andersen. Sophia liked to eat well and was a great cook. 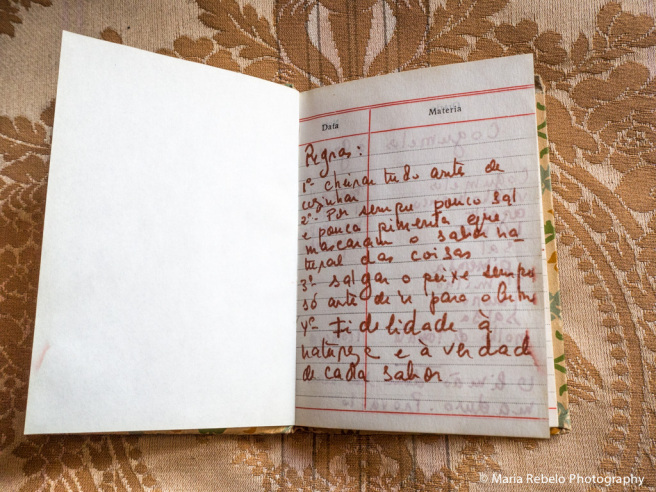 One day, she gave Maria a handwritten cookbook with her favorite recipes. This little book shows Sophia’s attention to detail and joie de vivre. 4 – Be faithful to the nature and the truth of every flavor. Even ruins can be delightful to the eye. One of the most beautiful monuments in Lisbon is a ruin. The Carmo convent, founded in 1389, was destroyed by the earthquake that stroke Lisbon on November 1, 1755. 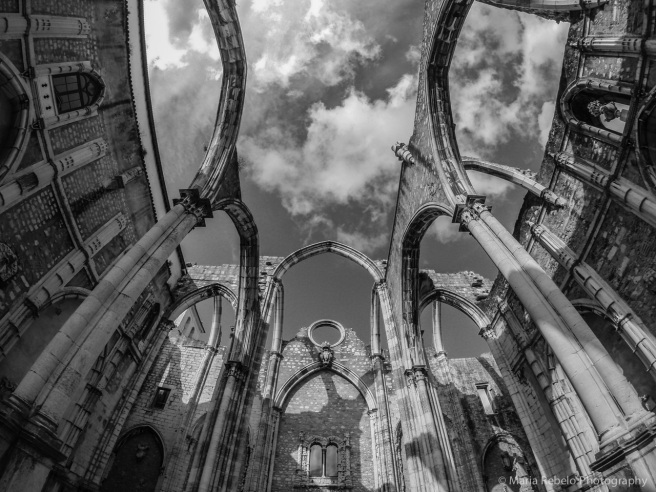 The convent’s gothic arches were left reaching towards the sky, asking questions for which we have no answers. Today, Carmo is a place of peace and tranquility. For we know that from the ashes of the old city, a new Lisbon was reborn. The Carmo convent is located in the homonymous Largo do Carmo in Lisbon.